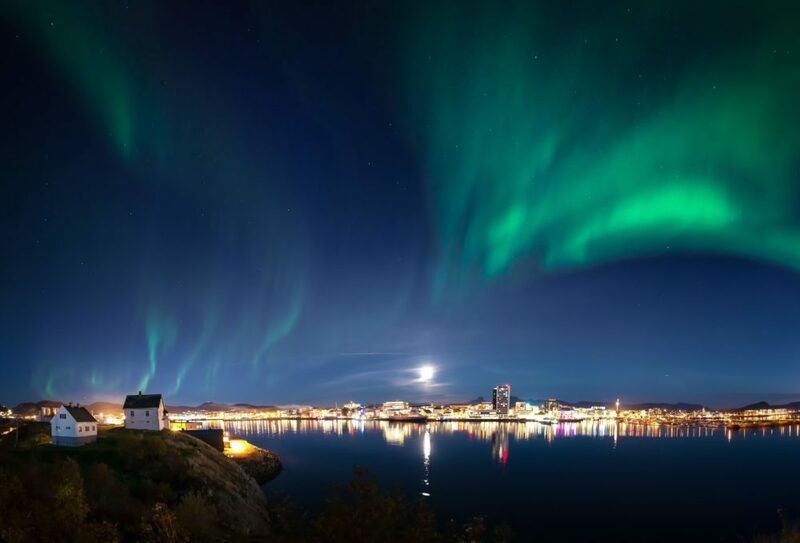 Thus, the Young Planning Professionals’ Workshop in Bodø will search for innovative and smart solutions to navigate planning through diverse forms of urban flows. We are more than ever aware that there is a need to focus on how to generate more effective flow of people and services through ‘cooler’ transportation policy and planning. This includes finding solutions that limits traffic jams and get their citizens to end destinations as fast as possible with the help of modern technology. This is not only about making the best connections for different transportation modes; it is also about planning the everyday functions in connection with the wider transportation networks. People will have choices to walk, to bike or commute by public transportation. There is also a need to focus on flows through open public space networks and particularly green connections. Getting to a place as effective and fast as possible is not always important; sometimes it is about connecting places and people through the green. Green connections not only provide important tracks for urban exploration and experience, but also become part of ‘soft’ transportation such as bicycling and walking. 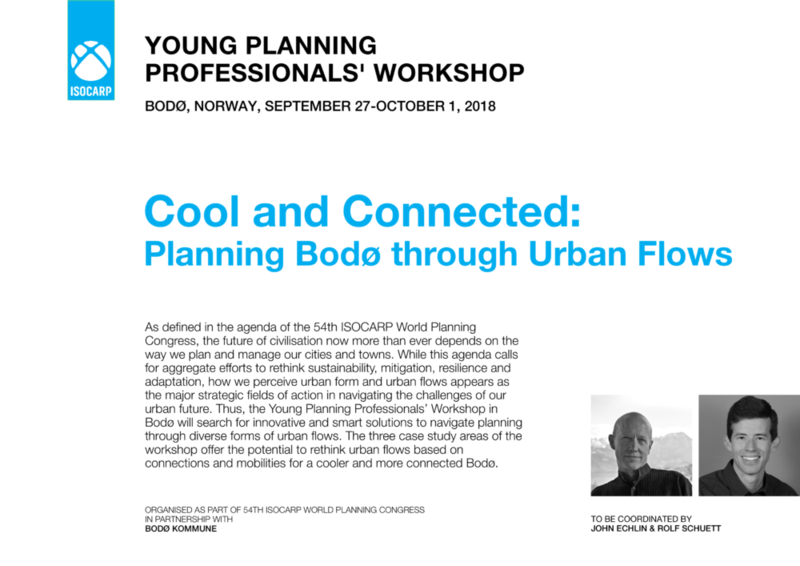 The three case study areas of the workshop below offer the potential to rethink urban flows based on connections and mobilities for a cooler and more connected Bodø. Case study 1 – How to connect the new with the old? In Bodø, the distance between the existing airport and the city is shorter than in most of Norwegian cities, which provides a unique opportunity to rethink mobilities and means of non-motorised transportation to and from the airport. However, the Parliament of Norway recently decided to relocate most of the military activity from Bodø further south to Ørlandet. This is a dramatic resolution and an opportunity at the same time. The existing runway is soon to be outdated leaving a vast land in need of regeneration. Based on these premises, the Norwegian Parliament decided to provide funding for the relocation of the airport taking into consideration the increasing population and the scarcity of land within the municipality. The new location of the airport will be 900 metres south of the existing runway (see figure), instead of a new airport at the periphery of the city. This will aid the city to expand outwards from its core. The questions to be responded are then includes: How to connect the existing built environment with the new? How to make a livable city without barriers? How to commute in an accessible, climate friendly way between the existing and expanding city? How to respond to the harsh northern climate? Case study 2 – How to connect the sea with the mountains? On its way from the mountains to the sea, the Bodø River flows through a large belt of green fields. Adjacent land is mainly used for farming with a popular hiking trail along the river. The trail holds an important position in the hearts and minds of the Bodø citizens, and its future is a subject of local debate. At the south by the sea, there is an important heritage site with a new museum to be build. The trail continues northwards by the Bodø River through further heritage sites until it crosses a new highway system currently under construction. The main highway, the train line and scattered clusters of buildings disrupts this area. The north of the highway contains large agricultural areas, and there is a connection to the major trail system as part of Bodø’s main recreational areas (Bodømarka). The trail system continues eastward to the national park, Sjunkhatten. It is desired to preserve this popular trail as an important connection between sea and mountains. This large belt of green field’s unique position close to town centre and adjacent to the new development area provides a highly interesting opportunity to be transformed into an urban greenbelt. This leads to the question on how to connect the sea with the mountains? How to preserve the trail in the future? How to link the trail with surrounding areas? How can this area function on different levels as a green, urban and sustainable addition to the town as a whole? Case study 3 – How to connect the waterfront with the city? The city core of Bodø is approximately 193.000 square metres (dark grey area on the map). The municipality is collaborating with other local stakeholders to expand the city core by developing a 50.000 square metres (red circle) immediately to the southwest. The project area along the waterfront is currently an industrial site. The industry owners are planning to relocate their growing businesses due to shortage of vacant land and infrastructural insufficiencies. The plan is to transform this industrial site into a place for new housing, shops, offices and more. The project area borders the existing city core with a marina; a recreational area to the southwest, a large residential area to the southeast. The focus of this case study is to propose design strategies for a new development at the waterfront, which best enhances the city centre, while exploring ways to connect this extension to the existing city core taking into account the ambitions of a zero emission neighbourhood.